Data from a 5-year-long, multi-institutional trial, reported at the recent ASTRO meeting, showed that stereotactic body radiation therapy (SBRT) had high rates of cancer control and low toxicity. but no concurrent or adjuvant androgen deprivation therapy (ADT) was allowed. 97 percent of patients were free of any indication (clinical or biochemical) of prostate cancer progression. Specifically, the recurrence-free survival (RFS) rate was 97.3 percent among low-risk patients (compared to a historic RFS rate of 93 percent for IMRT). 97.1 percent of patients had biochemical recurrence-free survival (bRFS); that is, no increase in PSA to over 2 ng/ml from the lowest (nadir) value achieved. The rate of bRFS was 97.3 percent for low-risk patients (compared to 92.3 percent historically). The rate of bRFS was 97.1 percent for intermediate-risk patients (compared to 91.3 percent historically). The authors have not yet presented their patient-reported outcomes, including those concerning erectile function, which I hope will be forthcoming. These are certainly excellent outcomes, and are in line with or better than retrospective SBRT studies that have previously been reported. So far, the longest running, single institution study of SBRT has been reported by Alan Katz (see this link). I’ve heard that a 10-year update to Katz’s cohort data is in the works. That will be as long and larger than the longest-running IMRT trial. SBRT is about half the cost of IMRT, and at only 5 treatments, is certainly a lot less bother for the patients. With large, long-term study data now available, it is difficult to understand why some insurance companies still don’t cover it. One word of caution that I would add is that we really are going to need to know the outcomes of this trial at 10 years too. 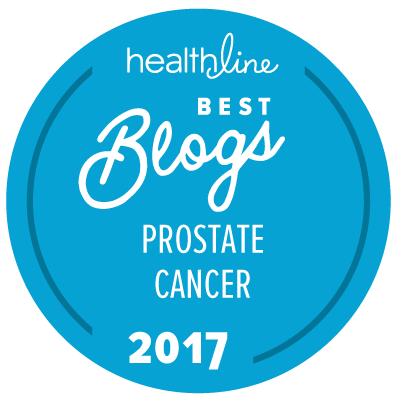 The current results are very promising indeed, but the 10-year outcomes are the “proof of the pudding” for outcomes in treatment of early stage, localized prostate cancer today. Thanks Allen for your diligent work on all radiation topics, but especially on the now strong and impressive emergence of SBRT. We just saw in the ProtecT trial that cumulative urinary and rectal side effects really don’t change much at all for radiation therapy after about a year. It is common practice to report toxicity at an earlier time frame than oncological outcomes, often by 2 years post-RT. That’s a typical time point for surgery toxicity outcomes as well. I agree that I’d love to see 10-year oncological outcomes, but it is hardly realistic to expect that or depend on it. There have been very few multi-institutional clinical trials for any therapy, surgery or any kind of radiation, that have run for as long as 10 years (see this link for two exceptions). We can potentially use registry data instead where that is available, although it’s not quite as good. Five-year multi-institutional clinical trials using surrogate endpoints are the norm. I am surprised and delighted to see a 5-year multi-institutional trial like this — the work and expense are enormous. Gleason 4 + 3 is now considered “unfavorable” for SBRT. At 7 to 10 years the biochemical failure rate may be about 30% to 45% for “unfavorable”. No mention of ED rates in the report. This seems to me to be a biased report. I wonder what conflicts of interest Liz, Nancy, and the others have? No mention of fatigue, loss of libido, etc. It’s not bias, it’s just different data. This was just a presentation at ASTRO. I expect there will be more data in the published analysis. In an earlier interim report on intermediate risk patients, potency preservation was 67% (see this link). ED data are usually collected as patient-reported outcomes based on EPIC or SHIM questionnaires. GU and GI toxicity is reported by physicians — unless the patient mentions it to his doctor, it does not get reported. For that reason, I consider the more prompted and detailed patient-reported outcomes to be superior and more comparable. But it is more troublesome to administer and compile than the physician-documented toxicity from patient records. Also, in multi-institutional studies, different doctors assess toxicity differently. Patient-reported outcomes are often reported as part of a separate “quality of life” analysis. See this link for the Katz and Kang SBRT long-term quality of life analysis. For this clinical trial, which completed accrual at 21 institutions in 2011, they only collected Gleason scores of 6 or 7. They did not break the GS7s down into favorable and unfavorable intermediate risk. If Gleason scores broke similarly to the population, GS 3 + 4 would outnumber GS 4 + 3 by about 3:1. Unfavorable intermediate-risk patients have oncological outcomes similar to high-risk patients, whereas favorable intermediate-risk patients have outcomes similar to low-risk patients — which is why we now make that distinction. Unfavorable intermediate-risk patients may be treated with adjuvant ADT, an expanded radiation field, and multimodal therapy — none of which were allowed in this clinical trial.